RIP Aretha Franklin: Here’s Nelson George’s beautiful tribute (via Billboard) to Aretha Franklin. She touched billions of lives around the world, and anyone who has heard her music is a better person for it. RIP Barbara Harris: What a beautiful Chicago Tribune tribute to the wonderful Barbara Harris, Second City alum, Tony Award-winning actress and film star who died in August. IMDB as Gamechanger: IndieWire reported that now filmmakers and crew can report sexual harassment via IMDB’s app. In other news, IMDBPro along with Women in Film and Sundance Institute announced that 22 films have met the ReFrame Stamp certification–which is awarded based on gender representation across various categories in front of and behind the camera. Learn more about this program at Variety. Must Read Articles: Kerry Lengel looks at diversity among theater critics in an article titled: Theater’s Other Diversity Problem: Me. Read the full piece at AZCentral.com. If you missed Donja R. Love’s exquisite post on The Lark blog in June–The Problem of white critics critiquing Works by Artists of Color–please read it here. Bond Directors: With news that Danny Boyle has exited as director of the latest James Bond flick, The Mary Sue compiled a list of eight women directors who could do this job (or another awesome job). New Play Commission: Mosaic Theater Company has announced a new play commission for women playwrights. Learn more about it at BroadwayWorld.com. Venice Film Festival Update: In our August 12, 2018 Brief, we highlighted the controversy around the Venice Film Festival and its dearth of women filmmakers. Festival leaders now have expressed commitment to gender equality and transparency. Read about the latest developments at The Washington Post. 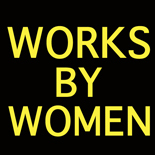 This entry was posted on September 2, 2018 by worksbywomen in Film, Theater, Women and tagged aretha franklin, azcentral.com, barbara harris, billboard, broadwayworld, chicago tribune, danny boyle, donja r. love, indiewire, james bond, kerry lengel, mosaic theater company, nelson george, The Lark blog, the mary sue, Variety, venice film festival.